Failed exam, how soon should I retake? Can anyone tell me how soon I should retake the exam? There are several dates that I have an option to take(have to drive out of town to take the exam) but the shortest distance is open for Sept. and some others are open as early as next month. The drive is not the problem, I just want to be prepared and I've heard from several people to retake the exam as soon as possible and not to wait to long. Any Advice is greatly appreciated. It is not so important when you take the retake, in my opinion, but what you do in the meantime to prepare yourself better. Have you done the usual things such as highlighting and bubbling your books, worked on practice exams so that you can consistently get an 85% or above, gone through the Blitz videos, practiced time management skills such as attacking the easier questions first, etc.? Maybe, also, a review of the Guidelines is needed? I say go with your gut on what would be the best use of your time in the interim before the exam, allow enough time for executing those items, and schedule your exam accordingly. You don't want to take it again until you are ready to pass with ease! Besides, what you learn will also help you with day-to-day on-the-job coding. Does your local chapter offer assistance? My chapter is starting to offer tutors/mentors for those that have failed. Check with them. Even if they don't have a formal program one on of the officers may be willing to help or connect you with someone. Focus on the portions of the exam that you struggled in. Good luck and don't give up! Waiting time after failing first time? What is the waiting period for falling first time? There is no set time. You can take the exam as soon as you can get it rescheduled. Hey i need a little advie i took the cpc exit exam an i havent receive my results back yet & it been over a month now. I called to find out they said that my test is under review. Do anyone know why would my test be under review. have this happen to some one before. Is this something i should be worried about? Hello it seems I can not pass the CPC exam, I took it four time so far any advice? 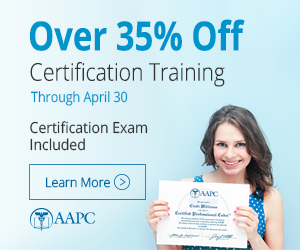 @angeleve Have you purchased AAPC CPC Practice Exams? I purchased all three and found them very helpful. I took the CPC exam on 03/08/14 and passed, and that was my first attempt. I liked that the tests came with a timer. Time management (or lack thereof) is one of the main reasons people do not pass. Make sure your books are tabbed well FOR YOU. Being able to navigate through your books quickly is essential. Eliminating wrong answers quickly is very helpful, also. Even if you have to guess, if you're able to eliminate at least one wrong answer, you've just increased your chances of answering correctly by 25%. Every little bit helps! I would also add purchasing the Blitz review videos, where you learn great tips for marking up your books so the differences between the code choices will jump out at you. The Blitz also explain some time management techniques. Taking the practice exams is critical to success on the real exam, and you need to be able to score 85% on those to be assured that you know the material well enough to pass the real exam. Here is a free practice exam... be sure to time yourself when taking the practices so you are in the habit of moving along fast enough. Try for 1 hour 50 minutes for a 50 question practice exam. Last edited by rsheets; 03-26-2014 at 06:21 AM.